The plant stand is the perfect ornamental or plant display for any vacant space in your home. The table features a curved cherry finish base and a faux marble top. This accessory provides a secure top to safely display your favorite plant. 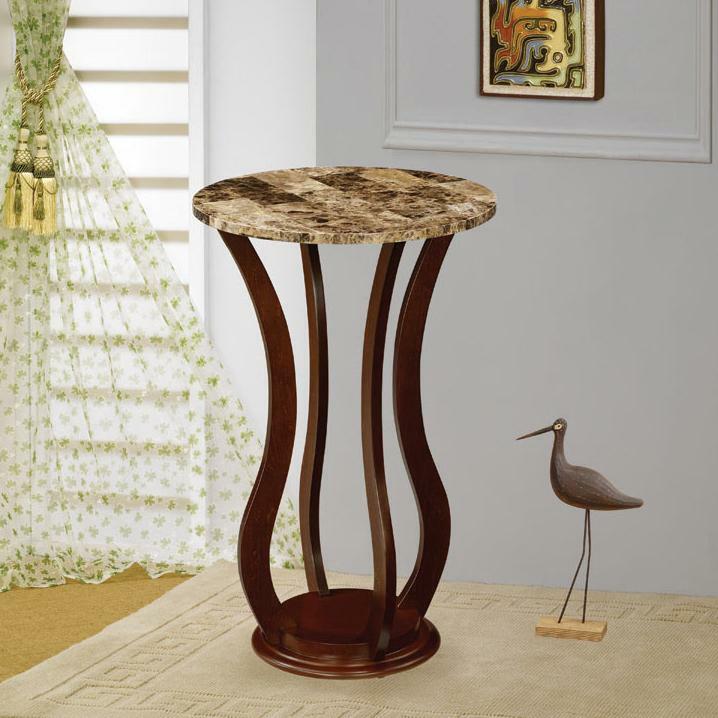 The Accent Stands Round Marble Top Plant Stand by Rooms Collection Two at Rooms Furniture in the Houston, Sugar Land, Katy, Missouri City, Texas area. Product availability may vary. Contact us for the most current availability on this product. Even your plants and telephones deserve a little attention. The Accent Stands Collection recognizes the importance of displaying your plants and accessories in style and therefore has come up with several options to do so. The collection features accent tables, end tables and console tables that will be perfect for those awkward or vacant spaces in your home. Several different styles are offered, from traditional, contemporary to mission style, you'll be sure to find a style that will closely fit your tastes. A variety of materials also make up the collection, including different colored marbles and solid woods finishes, glass and even metal. The Accent Stands collection is a great option if you are looking for furniture in the Houston, Sugar Land, Katy, Missouri City, Texas area. Browse other items in the Accent Stands collection from Rooms Furniture in the Houston, Sugar Land, Katy, Missouri City, Texas area.